It fascinates me to see how the transition to a new season transforms our routines. 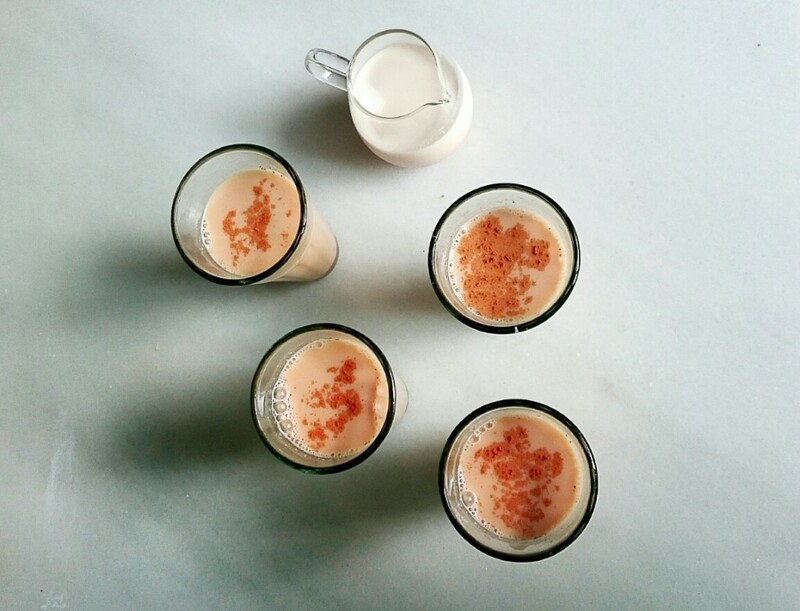 Not only the vegetables and seasonal fruits change with the seasons, but also what we like to eat or drink. Before I was used to have the same fixed breakfast during the whole year. But since I pay more attention to what my body is asking me, I have noticed how the flow and intuition guide me. And this is not an easy thing, living in today´s virtually connected and fast-paced world. It seems we notice the different seasons just by the clothes we wear, or whether or not we are on vacation. We are completely disconnected from the nature (no matter if you live in a city or in the countryside) and from ourselves. The autumn, for example, is a time of transition to the cold weather, and we all are more vulnerable in an immune level. The days get shorter and we tend to forget that it is that time of the year when we need to rest and slow down, in order to take care of ourselves. We want to do many things (and get them done well) to fulfill our expectations (and the expectations of others) and that wears us out. It is difficult to grasp the limits of our physical endurance and when we finally notice it, it is already late. Today´s recipe is a reminder to slow down, to re-connect with ourselves and with those around us. 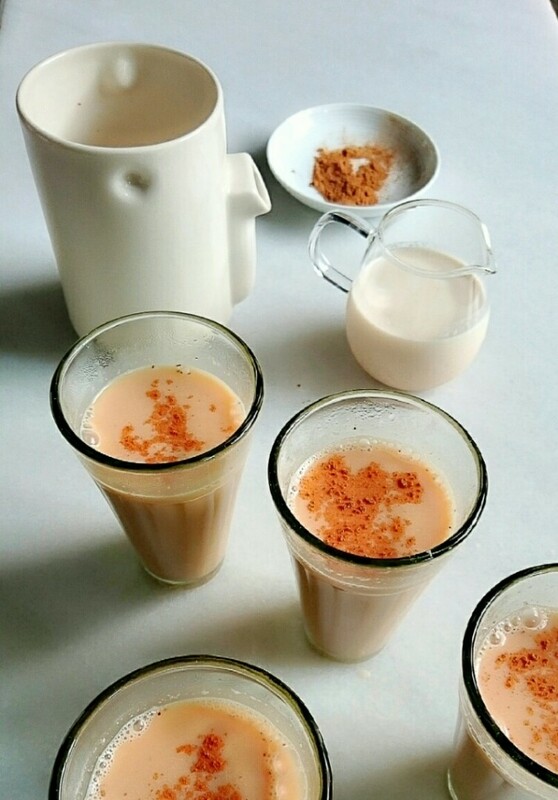 Making a chai is a sort of magic ritual. Like creating a secret potion. 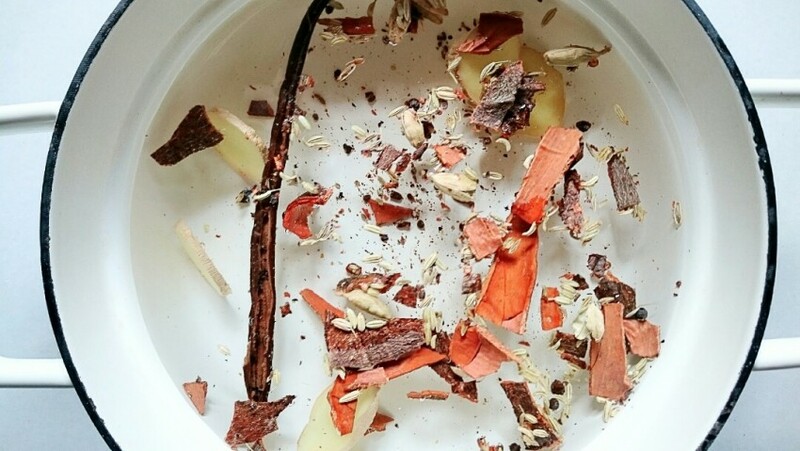 You need to use spices, such as cinnamon, vanilla, cardamom, ginger or clove which are medicinal, with digestive, anti-inflammatory, expectorant, diuretic, astringent, invigorating or antiseptic properties which warm up our body. You have to crush them in a mortar (the favourite task of my son), boil them, add the rooibos and let it stand. Every step reminds us that everything in life needs a particular time, and also makes us think of an important virtue: the patience. 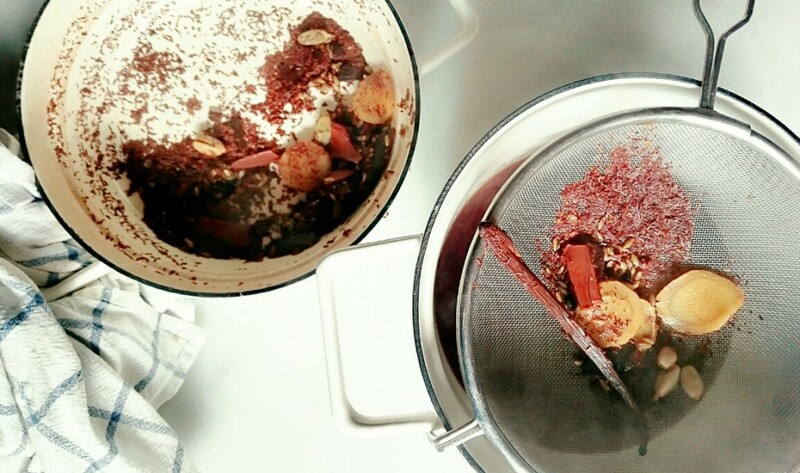 And what happens if we mix together spices and rooibos? 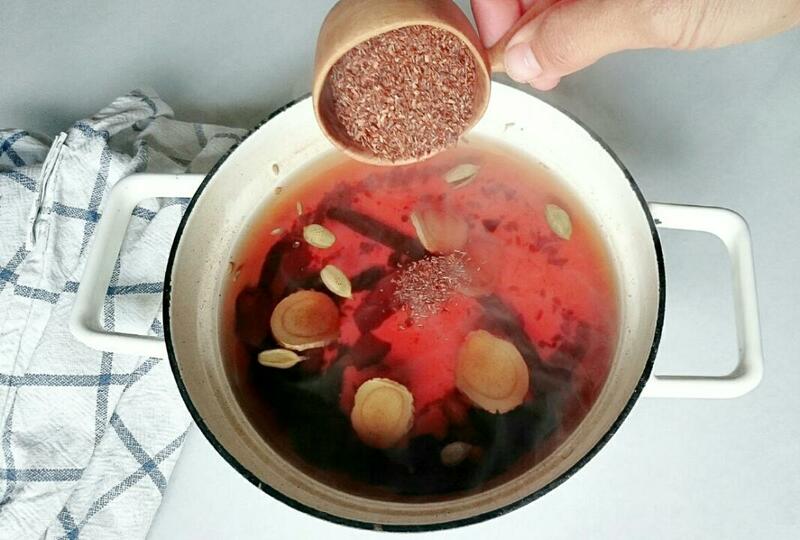 That we get a healing drink which is perfect for the autumn time. 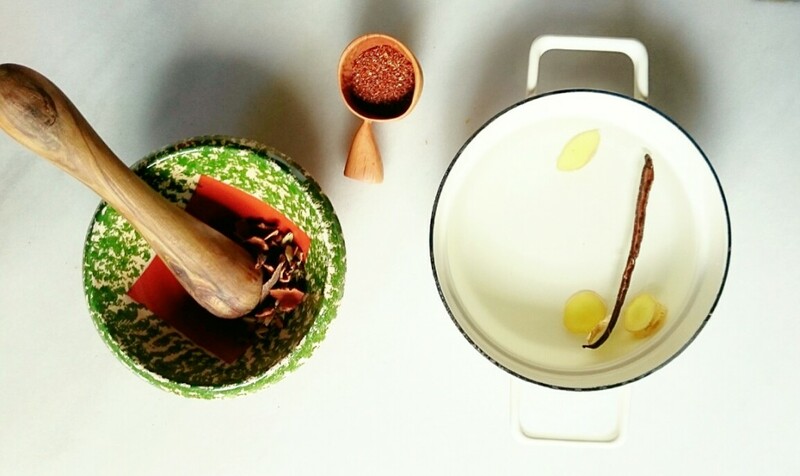 A potion based in the Indian Ayurvedic medicine, which reminds us that every season has a different rhythm which should be reflected in our diet and in our daily life. Autumn is the right time to introduce some elements to warm ourselves up and to ground us, without forgetting about getting adequate rest. 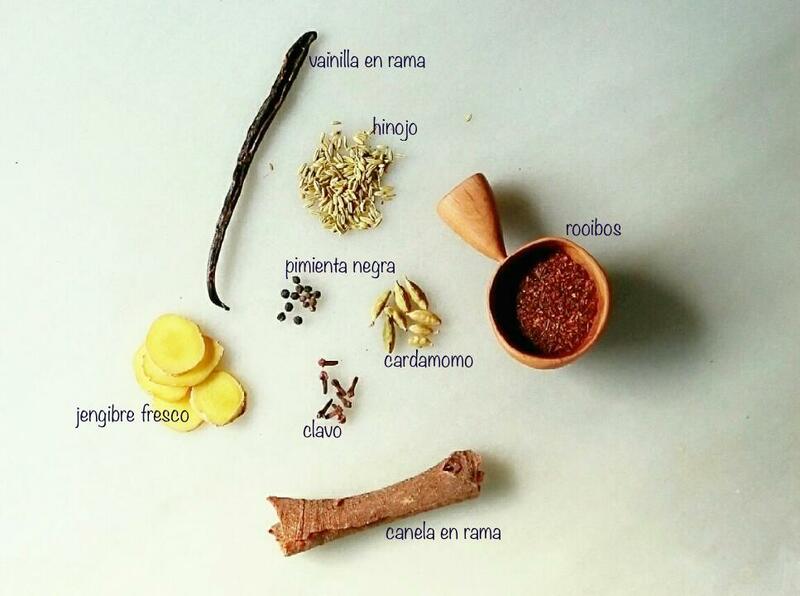 Don´t wait anymore, buy grain spices and get all your family to drink this magic potion. Transform it into an autumnal tradition (and also a winter one) if you like it and you will pass something really valuable on to your kids. You can use whatever spices you prefer and create your own version. I usually make double amount of it and keep whatever I don´t use immediately in a glass bottle and so, the next day I only have to heat it up. I recommend you keep also the vanilla pod in the bottle in order for it to infuse even more. water and the vanilla pod. Crush the pepper, the cinnamon stick, the fennel seeds, the cardamom and the cloves in a mortar. It is not necessary to crush them into powder, it will be enough with breaking the seeds a bit so they release their aroma. Put them in a pot on the fire and when they are starting to boil, reduce the heat to the minimum and cover it. Let it boil for about 10 minutes. Remove it from the fire, add the rooibos and let it stand covered for 10 minutes. Strain everything in another medium ladle and add the almond milk. Heat it again until it is about to boil. Turn off the heat and add the honey. Serve it in cups or glasses and dust it with a bit of cinnamon powder over the top.